Valmet has signed an agreement with Babcock & Wilcox Vølund A/S to supply automation technology for the new Dunbar energy recovery facility (EFR) in East Lothian, Scotland, UK. Advanced automation solutions will make it possible to efficiently control the renewable energy recovery process and to manage plant operations. Valmet's delivery is scheduled for March 2017. The order is included in Valmet's second quarter 2016 orders received. The value of the order is not disclosed. Typically the order value of automation system deliveries ranges from below EUR one million to EUR three million. "This is the second project that Babcock & Wilcox Vølund has ordered from Valmet. 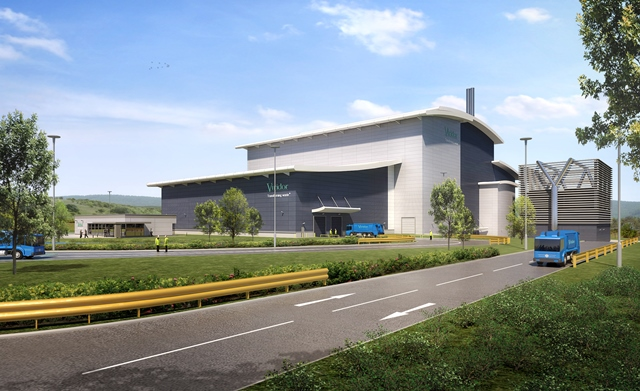 Our earlier delivery for the Peterborough waste-to-energy plant was successfully delivered and started up in 2015," says Neil Buckland, Sales Director, UK, Automation, Valmet. Once in operation in late 2017, the Dunbar ERF will have a capacity to treat approximately 300,000 tons of waste per year. It will generate 30 megawatts (MW) of base-load renewable energy directly to the grid, enough to continuously power 39,000 homes. Additionally, the plant will offer up to 10 MW of heat for local use. The plant investment is in line with the Scottish Government's ambition to deliver zero waste, encourage waste reduction, boost recycling and recover vital renewable energy. Babcock & Wilcox Vølund provides the technology for the Dunbar EFR and is responsible for its engineering, procurement and construction. The plant will be operated and maintained by Viridor, one of Europe's major waste management companies. Valmet will supply automation technology for the new Dunbar energy recovery facility (EFR) in East Lothian, Scotland, UK. The Valmet DNA automation system is already installed in 60 to 70% of UK's energy-from-waste plants. Valmet's delivery consists of a Valmet DNA automation system, an information management system as well as integrated safety and condition monitoring systems. Valmet has wide experience in supplying automation technology to energy-from-waste plants in Europe, and especially in the UK. The Valmet DNA automation system is installed in 60 to 70% of UK's energy-from-waste plants. Valmet has a strong local service organization in the UK to support the customers and provide them with professional services throughout the plant life cycle. Babcock & Wilcox Vølund A/S is one of the world's leading suppliers of knowledge, technologies and equipment for the combustion of waste and biomass. Over the years, its technologies have been incorporated in more than 500 production lines in more than 30 countries. The Denmark-based company is 100% owned by Babcock & Wilcox.